All’interno del dibattito sull’etica della cura, il contributo intende argomentare come la cura dell’altro possa declinarsi nelle nostre società complesse e multiculturali come cura della partecipazione dell’altro nello spazio pubblico, superando un approccio paternalistico e riconoscendo l’altro come soggetto di diritto. A partire dai dati di una ricerca etnografica svolta in alcune scuole primarie, s’intende analizzare criticamente in che termini il modello cooperativo della Complex Instruction possa costituire una pratica educativa capace di creare le condizioni per imparare a partecipare in modo equo e inclusivo della diversità. Il contributo, infine, discute come tale processo di apprendimento sviluppi la capacità di esercitare il proprio diritto di voce e agency e, attraverso ciò, possa promuovere una responsabilità politica in grado di modificare i contesti sociali in senso più democratico. "The Spaces in Between. Foreign Language Education as Critical and Intercultural Education". 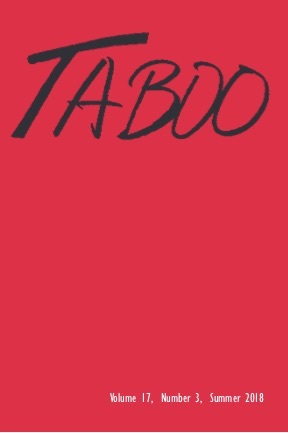 In: Taboo - Journal of Culture and Education. (pp. 55-72). Vol 17, no 3, Summer 2018. This contribution will focus on what the author considers a much needed critical and interdisciplinary reflection on fields which are too often treated separately, Foreign Language Education and Intercultural Education. She discusses the issue from the double perspective of a foreign language teacher and researcher, briefly presenting some data from a research study to then focus more in detail on a classroom activity designed to favour a critical awareness on both language and interculture. Her own position of teacher-researcher allows addressing another fundamental issue: the urgency of co-working and integrated cooperation between academic research and factual school practice. 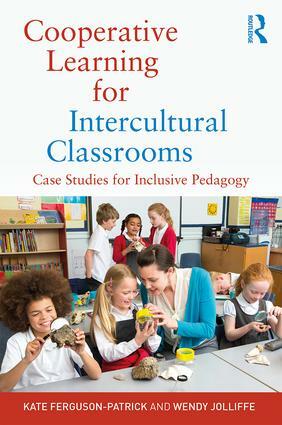 The contribution is one of the Case-Studies the book Cooperative Learning for Intercultural Classrooms provides to illustrate how cooperative learning can be implemented in classrooms from a range of worldwide contexts. These will include Australia, the USA, England, Sweden, Italy and Denmark as well as from countries in Asia. By taking on an ethnographic perspective, the contribution would highlight the challenges and the strategies both teachers and pupils meet in addressing the scope of an educational innovation in a multicultural classroom in a mountain school. In: Setti, F. Urban Rev (2017) 49: 372. Springer Netherlands. The history of relationships between Roma/Sinti and non-Roma/non- Sinti is marked and crossed by negative features and trails: anti-ziganismus, asymmetric power relationships within institutions and the absence of social justice in the school toward Romani minorities. 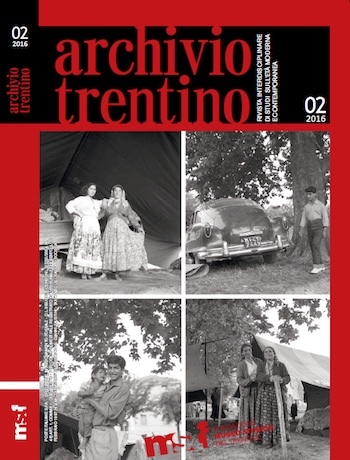 This article—starting from the negative aspects of the inter-ethnic relations between Roma and majority societies—on the contrary explores the positive features of these relationships, through a long-lasting ethnographic research and through the intimacy and friendship of the author with the research’ subjects. Without the deep connection and friendship established through the ethnographic relationship, these ‘‘positive’’ outcome would have remained eluded. The article will highlight how long-lasting ethnographic research is essential for the research’ outcomes, but also for the improvement of social justice within institutions, impairing the asymmetric power relationships between non- Roma majority and Roma/Sinti minorities. Indeed, long-lasting ethnographic research, ethnographic restitution and an ‘‘engaged anthropology’’ approach are central issues for intercultural education both within institutions, such as school, and in less formal contexts, as urban quarters, low-income flats and extra-school contexts of multicultural societies. Critical Cultural Linguistics. Key Concepts in Intercultural Dialogue, 88. Cultural Linguistics is a new field in Linguistics which focuses on the relation between language and cultural conceptualizations, analysing how linguistic interactions influence the development of cultural conceptualizations, and, at the same time, how language structure and use draw on and reflect cultural conceptualizations. Yet, if cultural conceptualizations are encoded and embodied in language, they are by no means neutral or accidental. Critical Cultural Linguistics (CCL) analyses how cultural conceptualizations are shaped by contexts, conditions, power relations, unequal access to cultural and natural resources, as well as by socio-cultural and historical factors. “Identity and Diversity: the Educational Challenge in Urban Contexts”. womaned [Giorgis P., Pescarmona I., Sansoè R., Sartore E., Setti F.]. In: Noblit G. W., Pink W. T. (eds.). 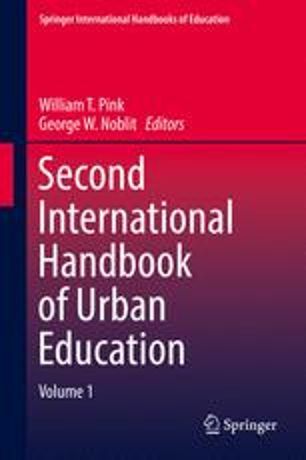 The International Handbook of Urban Education. Second Edition. Dordrecht: Springer. One of the aspects of Urban Education is that of diversity as it displays in daily experiences, practices and interactions in multicultural contexts. Diversity between and within groups challenges reification and pre-assumptions on cultures, and it engages the discourse of the complexity of identity, thus avoiding to stereotype both the ‘cultural’ and the ‘multicultural’. The collective wom.an.ed – women’s studies in anthropology and education – thus addresses Urban Education not as an educational issue connected to minorities or immigrants, but rather as an educational approach which assumes the daily complexity, in particular that concerning the complexity of identity. Our research, conducted in several school and extra-school urban contexts in Italy, show how diversity is, paradoxically, the common trait of the subjects involved in the educational relation. Through a constant work-in-progress, diversity emerges as a situated, negotiated and co-constructed process. Our educational approach values diversity as a way to enhance learning, as well as to develop an awareness on how self and others are perceived and represented. Our contribution focuses on two main areas of research. The first regards the teaching/learning relation, presenting data from a study which considers the Complex Instruction as a way to re-apprehend the class as a cultural space, and from another research which examines the socio-cultural impacts on students’ expectations in vocational education. The second, presented in two case studies, observes how linguistic interactions between adolescents challenge a priori assumptions of cultural belongings, and create cross-cultural affiliations. A final reflection considers the theme of diversity from a historical perspective, showing how it is a relative and protean notion. The aim of our research is then to investigate how diversities display in the urban context, suggesting how a much needed and critical understanding can be offered by a transformative intercultural education, able to question impair power relations. This study explores how experimenting with Complex Instruction can broaden teachers’ perspectives and develop understanding of the classroom as a complex social and cultural system. It critically presents and interweaves data collected during ethnographic research, which was carried out with a group of in-service teachers, plus four workshops which involved pre-service teachers. Complex Instruction often provides teachers with an unusual experience, which may cause dis-orientation. 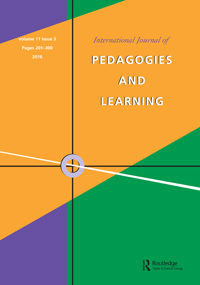 It is precisely this uncertainty that moves teachers to investigate their own beliefs and dispositions towards teaching and learning, as well as imagining new scenarios for their classes and for themselves as educators. This state of uncertainty strengthens the ability to raise questions about their own practice and makes them more aware of the responsibility of their role in developing a more equal participation in class. 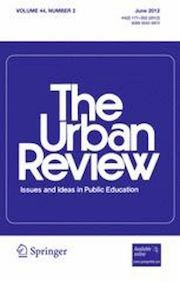 The article argues how Complex Instruction can promote a process of reflexivity-in-action and therefore challenge teachers’ professional identity. L’articolo presenta la cultura come diritto fondamentale per l’esercizio di una cittadinanza attiva e la promozione di un dialogo equo in una società democratica. Affermando la centralità del diritto di voce e del produrre insieme conoscenza come mezzo e condizione per il vivere comune, la cultura è presentata come un bene pedagogico che contribuisce a creare un patrimonio di cui tutti siamo responsabili. Il testo sviluppa progressivamente la questione esaminando i concetti di pari opportunità di accesso alla cultura, partecipazione attiva e cooperazione. 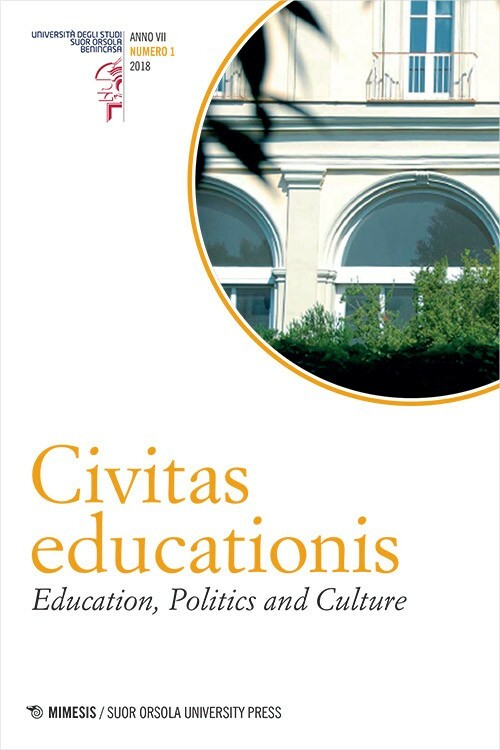 Keywords: Diritto alla Cultura, Equità, Cooperazione, Dialogo, Cittadinanza attiva. In che modo le relazioni tra sinti e non-sinti hanno influito e influiscono sull’elaborazione della visione della scuola da parte di giovani e adulti? Per rispondere a questa domanda è utile riflettere non solo in termini di organizzazione e legislazione dell’istituzione scolastica di oggi, ma ripercorrere a livello storico la trama che ha costituito per decenni le esperienze di bambini e giovani, grazie anche ai dati raccolti negli archivi comunali e provinciali del Trentino, con un particolare riferimento al progetto delle classi speciali «Lacio Drom» per bambini ‹zingari›. Attraverso una ricerca etnografica in una scuola media trentina, è stato possibile approfondire i processi d’inculturazione, presenti all’interno delle reti familiari, e quelli di educazione formale, rivolti alle famiglie dalle istituzioni scolastiche, per capire se ci siano legami, punti di contatto e di continuità tra gli uni e gli altri. Tale interesse teorico e metodologico nasce dall’osservazione di rapporti spesso conflittuali e difficili tra la ‹maggioranza della popolazione› e questa ‹minoranza etnica›, radicata da più di un secolo nel territorio trentino, una sorta di opposizione che spesso si riflette nelle scuole con performance ‹non soddisfacenti› – secondo i canoni di gran parte della società – degli alunni sinti e rom. Il principale risultato dello studio etnografico mette in luce come la visione della scuola e i percorsi ormativi di giovani e adulti sinti permettano di osservare e riconoscere le culture presenti negli istituti scolastici, i rapporti di potere e le connessioni tra diverse istituzioni. On Translation as an Intercultural Practice. Guest Post. Translation shares many characteristics with the intercultural perspective. It is an encounter with diversity which favours a critical reflexivity on what we take-for-granted of both emic and etic worldviews. It is practice that involves the constant exercise of moving in a space in-between. It represents the opportunity to engage in a double perspective. It is an experience which make us observe, challenge, redefine and move through borders. It is an occasion to look at our knowledge, assumptions and representations from a different point of view. Translation is therefore not so much about words, but, rather, it necessarily involves a reflexivity on how words shape our meanings, our cultural conceptualizations, our emotions. Thus, reflecting on other words is a task which engages us to reflect on our own words: unveiling how much is cultural and situated in the folds of what we consider ‘natural’ and taken-for-granted in our language, translation invites us to explore the differences not only between languages, but within language too. “Attraverso lo specchio. 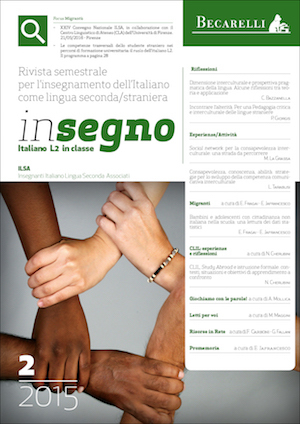 Brevi riflessioni in difesa della diversità delle lingue e sulla qualità interculturale dell’esperienza delle lingue straniere” (“Through the Looking Glass. In Defense of the Language Diversities and on the Intercultural Quality of Foreign Languages”). 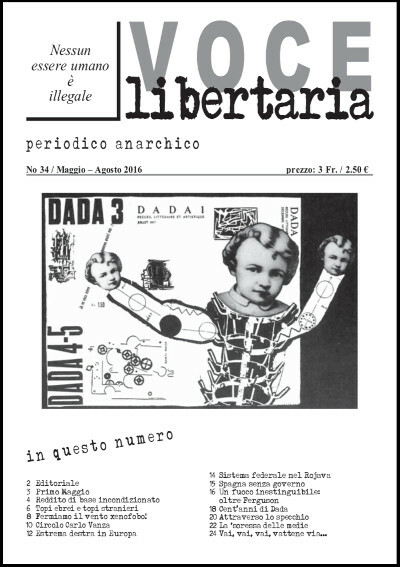 In: Voce libertaria – Periodico anarchico (34). May-Aug. 2016. Challenging the long-established radical fascination with one-language-only as a way to create a common sense of belonging to humanity, the article advances that it is precisely the diversity of languages to manifest their libertarian and intercultural perspective, as the experience of an-other language can become the experience and the practice of otherness and diversity. The article examines several issues connected to (foreign) language education from a critical and intercultural perspective. Assuming that the experience of a foreign language separates the speaker from her/his familiar framework of references and representations of the self and the others, the article highlights the intrinsic intercultural potential of foreign language learning. The article also discusses critically the debate regarding the English Language, whether it can be still considered a foreign language (FL), or rather a global second language (L2), and offers further interpretations from data of my research among adolescents from different linguacultural backgrounds. Complex Instruction (CI) is a cooperative learning approach, which aims at improving the equal status interaction among students working in groups who may be at different academic and social levels. Based on an ethnographic research, the article examines how a group of Italian primary school teachers understand the status problem and how the finding from this research demonstrates a change in their expectations of competence through using CI. This research analyses to what extent these teachers meet the original goal of achieving greater equity, as well as discussing implications for teachers' professional development. Keywords: complex instruction; status problem; professional development; social justice, Ethnography; school culture. Following the guidelines given in the White Book on Intercultural Dialogue, this article reflects on whether the use of the Complex Instruction (CI) model would create the conditions for a more equal dialogue in educational contexts. An ethnographic study was carried out in four Italian primary school classrooms to explore how this cooperative learning approach would help pupils become increasingly autonomous, especially those with low-status. This study sheds light on the ways pupils learn to participate in cooperative activities and shows what may have affected their participation. In addition, it evaluates the effectiveness of CI as a tool for creating a public space where pupils can exercise the experience of having voice and agency. Keywords: Complex Instruction; active participation; conflict; public space; ethnography of education; intercultural dialogue. L’articolo illustra le principali linee del dibattito sull’eredità del colonialismo e i fatti storici che l’hanno accompagnato, con particolare attenzione al caso della Francia e della Gran Bretagna. Questa pagina di storia sembra essere tutt’altro che conclusa e chiama l’Europa a confrontarsi con un passato difficile da rielaborare. Spesso affrontata da storici, tale questione offre una rilevante occasione di riflessione anche in ambito educativo, spingendoci a interrogare le abituali categorie che modellano il rapporto noi-altri e sviluppare un’idea d’identità e differenza meno cristallizzata ed etnocentrica. Keywords: colonialismo in Gran Bretagna e Francia; etnocentrismo; educazione interculturale; curricolo di storia; identità; stereotipi. Nel presente articolo sono state analizzate alcune storie di vita che dimostrano come, al momento della morte di un proprio caro, i parenti riescano a reagire al dolore del lutto e a ridefinire il proprio “esserci nel mondo”. Questa ricerca nasce da un desiderio di approfondire e capire come viene vissuta la morte in un contesto urbano nel quale i rituali tradizionali tendono a perdere importanza rispetto a un passato storico in cui questi erano fondamentali per l’elaborazione del lutto. Tramite questo lavoro è stato possibile addentrarsi nei vissuti individuali dei dolenti per ricercare i riti ai quali ognuno attinge e/o reinventa per oltrepassare il dolore enorme dato dalla mancanza della persona cara. Nel presente articolo tali vissuti personali sono considerati come preziose perle di saggezza e di cultura che animano la nostra società. I dati e le osservazioni riportate sono frutto di un’indagine etnografica svolta nel 2007 e presentata nella tesi di laurea in antropologia culturale della dottoressa Federica Setti. Tale ricerca è stata svolta nella provincia di Trento, presso il servizio di cure palliative, il gruppo auto mutuo aiuto (AMA) “Un aiuto a dire addio” e tra i familiari di pazienti seguiti dallo staff del servizio di cure palliative. This paper explores the implementation of Complex Instruction (CI) in some multicultural Italian Primary school classrooms in Bologna and its Province. 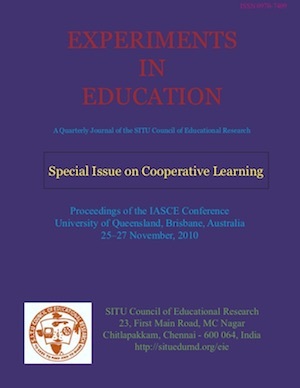 Based on an ethnographic research carried out between 2007-2009, it aims at a critical analysis of the complex process of learning in a cooperative way. I will describe the different competence and strategies pupils use to cope with CI. These have been divided into three categories: cooperative competences, school competences, and child competences. In fact the students did not use cooperative competences just because they had learnt them, but they interwove these with their habitual way of learning and being at school (i.e. school competences and child competences), which could influence the process and the results of the CI experiments in class. Pupils engaged actively with the changes brought about by the implementation of the CI method, choosing and selecting different responses ranging from routine to creativity. Finally, I will analyse the conditions in which low-status students had a chance of having their voice heard. The article discusses the choice to attend a course of “initial vocational training” by young immigrants whose learning experience takes place in a vocational training institution in Turin (Italy). After briefly presenting the school system reforms enacted since the beginning of the XXI century, and the changes brought about by migratory flows into the production sectors, schools and society at large in Italy, the reasons are given for carrying out an ethnographic research in a “vocational training” institution. The paragraphs that follow present the school context of the “initial vocational training” course where fieldwork was conducted, and point out the interactional misunderstanding that are at the origin of a choice that however the immigrant students do not define as such. Finally, the meaning of work, as well as the hopes and responsibilities (towards the family members who have remained at home) that are attached to finding and having a job are discussed. Keywords: work, vocational training, immigrant students. 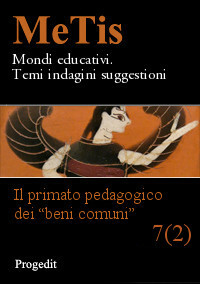 The development of teaching professional competencies is necessary if teachers are to cope with heterogeneous students. From an educational comparative perspective, the article explores the complex process of implementation of a new teaching method for multicultural classrooms, such as Complex Instruction. It investigates the implications of an educational innovation for a group of teachers, and to what extent the latter are able to change their educational ideas and practices. An ethnographic research approach is adopted in order to shed light upon some of the challenges these teachers encountered and how these affected their choices. Thus the process of educational change is presented as an open problem in which the 'culture of the school' does not play a neutral role. Complex Instruction (CI) is a comprehensive programme relating to curriculum development and instructional methodology, using multiple ability tasks and status interventions as key concepts. In 2006, at the eng province. The author developed a qualitative research project using ethnographic methodology to investigate and understand how this instructional innovation was proceeding and how it was being implemented by the Bologna teacher group. 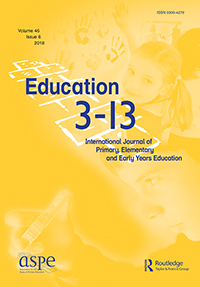 The paper critically reflects on the introduction of an alternative approach in an Italian context by examining how teachers did or did not reach new educational goals and how they coped with their schools' structural conditions (such as schedules, curriculum demands) as well as cultural factors (such as professional values). The paper discusses how the CI strategy was debated and interpreted by the teachers involved, and the barriers and opportunities for implementation. In 2008, the International Association for Intercultural Education (IAIE) partnered with the International Association for the Study of Cooperation in Education (IASCE) to hold an international conference in Turin, Italy. The conference, titled ‘Cooperative learning in multicultural societies: critical reflections’, was also co-sponsored by CeSeDi (Piedmont Regional Teachers’ Center) and the University of Turin. 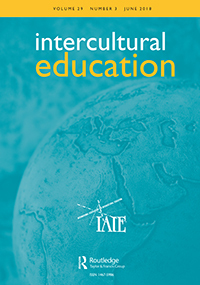 The special issue of Intercultural Education that you are currently reading brings together selected papers from that memorable conference.